Officially, Nasser Zefzafi was convicted for separatism; documents of his jailing condemn him for being a terrorist, apparently opposed to Islam and the foundation of the Moroccan state. The protestors in the streets tell a different story. They tell a story of a peaceful protest, led by a man whose primary demand is equality for an oppressed minority confined to the Rif region of northern Morocco. The following article dwells on the people of the Rif (Riffians) and the recent nomination of Nasser Zefzafi for the European Sakharov Prize. It honours the work of the Sakharov Nasser Workgroup linked to the Hague Peace Projects in lobbying for his nomination, and hopes to spread awareness on the importance of speaking up, especially in current times. What Zefzafi said has now turned to become essential to his own story, and communities at home as well as abroad are raising their voices to change his fate. What are the issues in the Rif? For a brief period in history from 1921 to 1926, the Rif exercised sovereignty over its own region – its independence, however, was harshly contested by its neighbouring Morocco as well as the colonial powers France and Spain. Arguably, the problems of the region stem from the conflict that followed: the application of poisonous gas by colonial forces, the remnants of which are by some researchers considered the cause for recurring cancer. Through its separation from the rest of the country, the Rif is slowly dying out. The somewhat inhabitable nature of the Rif has in the past deterred investments, and hence tourism has focussed majorly on regions such as Casablanca and Marrakesh. As public interest in the Rif decreases, so do state efforts to connect the population to the rest of the country, albeit such connection is urgently needed to provide the population with viable job opportunities, cancer treatment as well as other healthcare facilities and access to state institutions. Currently, even entering or exiting the main city Al-Hoceima involves passing highly militarized checkpoints. Given the Rif is inhabited by native Berbers or Amazigh people, segregation and disparities are justified through ethnic rhetoric. Why are prison sentences being issued against the protestors? As an economic role model in Northern Africa with a relatively stable political situation, the Moroccan government is under pressure. It is under pressure not just to satisfy demand of economic partners such as the European Union, but also to uphold the image of an Islamic country that does everything to satisfy the needs of its population. Essentially, Morocco is afraid of its population presenting the legitimacy of the government in a bad light – the peaceful nature of the Hirak led by Nasser Zefzafi, however, served as a role model for further movements all around the country. Morocco is facing the same phenomenon that is spreading across the world: while parent generations still favour accepting the world as it is just to get by, youth is increasingly unafraid. To the government, facing the innumerable demands of the people seems an unsurmountable task – therefore, the strategy that has proven viable is framing the protests as a public risk that should not be copied across the country. Fifty-three activists of the Hirak leaders have been sentenced to prison terms ranging between one and twenty years, with more trials ongoing. 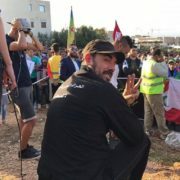 As protestors assemble in crowded spaces to voice their frustration, Nasser Zefzafi, as the voice behind Hirak, has appealed his sentence of twenty years, with the prosecution claiming that taking his case to a higher court level will increase the likelihood of a lighter and more appropriate sentence. The appeal case was bound to launch in September 2018, but has dragged on until November. What will become of Nasser Zefzafi, and what role do the people of Europe play? In 2017, Kati Piri of the Dutch social democrats (PvdA) rallied to raise awareness for Nasser Zefzafi amidst his arrest and to nominate him for the renowned Sakharov Prize for Human Rights and Freedom of Thought. The Prize is awarded once a year, in the past to nominees such as Nelson Mandela, Denis Mukwege and Kofi Annan. In order to nominate a candidate, at least forty Members of the European Parliament must sign a nomination proposal, following which the nomination will pass through various stages of examination. Unfortunately, this first attempt by Kati Piri failed in its early stages due to little knowledge of Zefzafi’s existence by the most Members of European Parliament. In January 2018, what came to be the Workgroup Sakharov Nasser resumed the task of spreading awareness among Members of the European Parliament to bring him onto the list of nominees, and although the Prize was ultimately awarded to the Ukrainian activist Oleg Sentsov, the nomination itself has already shed light in the darkness. The nomination is even more valuable in the light of Zefzafi’s appeal trial. As an economic partner of Morocco, the European Union enjoys a significant amount of leverage over the future of Zefzafi and the Rif community. When Moroccans living abroad communicated their outrage over the arrest of Zefzafi to Members of the European Parliament in 2017, the threat of more negative backlash contributed to courts’ decisions to hand out sentences of twenty years at most, when even longer and graver terms could have been possible. Of course, the European Union as an economic institution is neither in a position nor willing to focus all its efforts on Morocco, Zefzafi and the people of the Rif. Nor is it, despite the existence of the Prize, its primary role to engage in the promotion global human rights. In fact, the necessity of keeping Morocco a stable trade partner has led to certain groups of the European Parliament such as the Socialists and Democrats (S&D) and the Liberals (ALDE) viewing Zefzafi’s nomination with a critical eye, warning of the consequences that could arise. However, the success of popular lobby in having Zefzafi listed as a nominee shows that with enough willpower, even sentences abroad can be mitigated – with this knowledge and in the context of the appeals case, the citizens of Europe can not miss the chance to continue rallying, lobbying and working towards the reduction of Zefzafi’s sentence. In the light of tightened security and severe restrictions of liberty in the Rif, the population of the Rif depends on the support. The Workgroup Sakharov Nasser is composed of motivated volunteers and is loosely linked with the Hague Peace Projects. Although the Rif is largely shut off from international media, and few researchers or journalists can gain access to the area, the Workgroup through social media and personal contacts has insight into the local chaos. In January 2018, the Workgroup began establishing contacts within the European Parliament and succeeded in gathering enough signatures of Members of Parliament for Nasser Zefzafi to be one of the three finalists for the Sakharov Prize. Apart from lobbying, the Workgroup passes on information about the situation to other members of the Moroccan diaspora community and raises awareness among Dutch society for the cause. For more information on the current protests and a historical perspective, the group recommends the book Popular Hirak in the Rif.